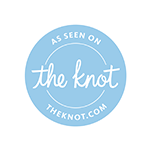 You’ve confirmed your wedding date, and now you’re focused on getting all the vendors and details in place so you can have a seamless and blissful wedding. The music that will accompany this memorable event is also an essential ingredient to ensure a joyful and elegant background for this grand celebration. Since choosing the right DJ can save the day or break it, here are helpful guidelines to choose the best for your special day. Weddings come in all different shapes and styles. If you are going for a sophisticated and elegant experience, you want to ensure the DJ has that style. Using a family member or friend as your DJ because they have a good playlist and a speaker box, may not be the best option. To know the DJ’s style, inquire if they play anywhere you may be able to attend. Attending the DJ’s event can help you get a feel for their style and determine if they’re the best fit for you. There are skills that DJs use to ensure the flow of music stays consistent throughout the event, keeping the energy full and pulsing. One example is when the DJ mixes two songs of the same speeds by matching their beats per minute (BPM). Audiences prefer this practice above what some DJs do, which is to fade songs in and out, often causing dead spots, and no one likes dead spots. When you choose your DJ, keep in mind that they will also be responsible for the audio throughout the event. They will be held accountable to ensure everyone hears the vows and when you receive your toasts, there is no squealing with the microphones and the music is not tastelessly loud. It is essential for your DJ to understand the tools necessary to make the day go without flaw and if there are flaws, he or she must know how to resolve it. Having the right equipment is a crucial attribute when choosing a DJ, this paired with knowledge of their equipment. Having the right cables, programs, microphones, and microphone frequency can affect the quality of sound and service you receive. Will the DJ be using a CD or a computer? It matters because with a computer there is the option to use multiple playback devices, there is faster song changing ability, and any song can be downloaded at any time allowing access to a lot more music. The DJ should be able to take with him or her all that’s needed for the event to be successful without inquiring for extra cables, speakers, or any other equipment required to fulfill the task. Planning is essential to a perfectly executed wedding. When consulting with the DJ, advise him or her on how to dress. Along with the style of dress, the style of music is important to determine in advance. Provide the DJ with a must-play list, and a do-not-play list. Both are important for the DJ to tailor the songs for the special day to you and your love story. Your DJ should be able to provide a playlist that will help you to determine what best suits your needs. Your DJ should know the roles and responsibilities of specific individuals that attend the wedding, to ensure the day goes off unhitched. When everyone understands the other’s role communication is improved, this can prevent the first dance and family pictures from being announced at the same time. Ensure the names and phonetic spellings of the bridal party is provided to the DJ. Your DJ has an emergency and suddenly can no longer be at your wedding. The day must go on. There should always be a backup DJ that is prepared to step up. When hiring a company where there is only one DJ, make preparations with the DJ in the event the individual can no longer make the event. With your DJ on point for your special day, remember to capture the day’s joy in ways that will last with great images. Additional entertainment and great images are a few benefits that come with photo booths. For information on using a photo booth on your momentous day, contact us at 800-295-0430 for a free quote. There are many styles to choose from, and our team will help you select something best suiting to your taste.